Zero Gravity Athletics is setting up shop in Silverdale, after an eviction forced the gym out of Poulsbo earlier this month. Owner Kenda Moreno said the business is relocating to a 15,000-square-foot space at 2789 NW Randall Way. She wanted to keep the gym in North Kitsap, but wasn’t able to secure a lease she said. Her main priority was getting the doors open again. The competitive gymnastics season is already underway. Zero Gravity’s teams are already practicing in the new location. Classes will resume Dec. 1. North Kitsap School District is no longer contracting with the gym for facilities for its gymnastics programs, Moreno said. Zero Gravity is sharing a complex with Castle Megastore – an adult “boutique.” Moreno admits the pairing isn’t ideal, but she was left with few options and believes the new location will be successful. For updates, see the Zero Gravity page on Facebook. Comcast Business is extending its high-speed broadband network to cover “underserved commercial areas” of Kitsap County, beginning with Silverdale. The company will expand commercial Internet and Ethernet service in areas surrounding Silverdale Way NW, NW Myhre Road and Bucklin Hill Road this fall and winter, according to a news release. Expansion elsewhere in Kitsap will continue next year. 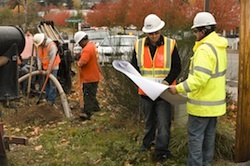 The project will connect specific businesses that have requested service and extend the network along right-of-ways to meet future demand, according to the release. 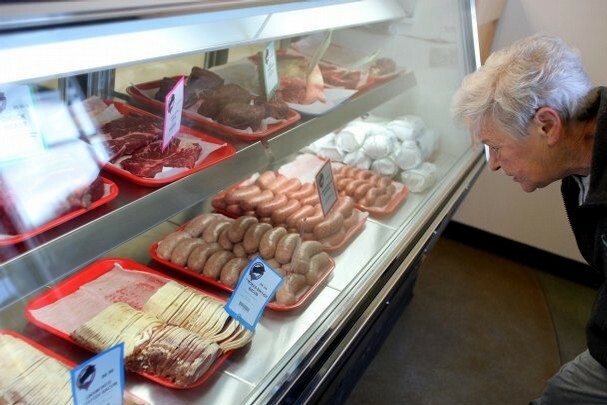 As I noted in today’s business spotlight, the new Proper British Bacon in Port Orchard is the first franchised offshoot of the original butcher shop in Auburn. Founder Robin Halbert expects it won’t be the last. Halbert said he plans to establish several more franchises in the Puget Sound area if the South Kitsap enterprise proves successful. He has his eye on Bellevue and North Seattle as possible locations. Port Orchard store owner Meri Blaisdell suggested Poulsbo, with its European theme, could be a good fit for a Proper British Bacon. About 25 percent of the customers who frequent the Auburn location are British expats, Halbert said. The shop has an especially strong following among Microsoft employees and makes regular deliveries to the Redmond campus. Halbert is already seeking U.S. Department of Agriculture certification to sell Proper British Bacon branded products in supermarkets.